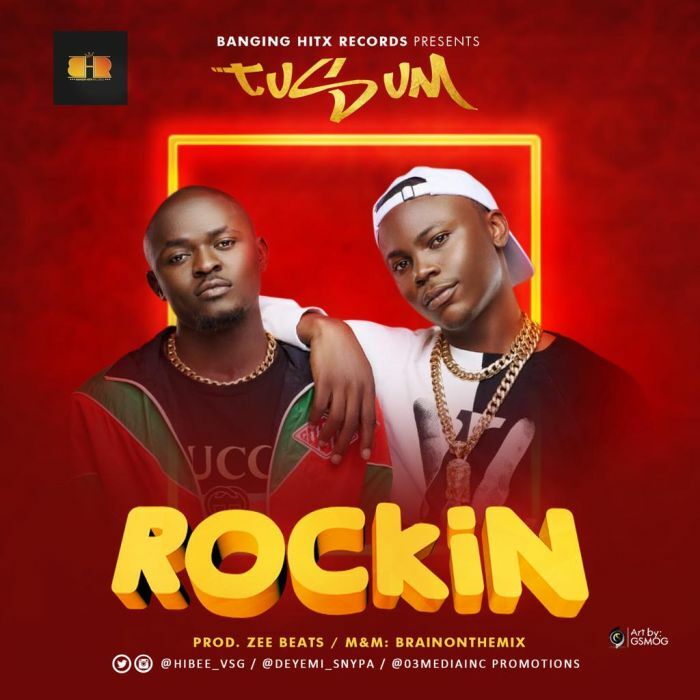 The sensational duo of Deyemi and VSG better known as #Tusum makes their ember month debut titled Rockin which is tearing up music charts. The Olabisi Onabanjo graduates signed to Bangin Hitx Records met 3 years ago and have been churning out soothing sounds of good music. They had an unreleased track titled ‘Relax Your Body‘ which was followed up with this unique pop sound produced by Zee Beats, mixed & mastered by Brain Mix.